All over Neopia there are fantastic natural and Neopet-made places, which have been deemed worthy of the title of one of the 16 Wonders of Neopia. This is your tour guide, Steve, giving you the scoop on Neopia's greatest sights to see. The Mystery Island tour guides say: "Its sheer size is amazing. Few people manage to climb all the way up its dizzy heights. It is rumoured to have secret passages built by the ancient Cocos running through it." This has to be one of my favorite sights to see. Techo Mountain, located in the middle of Mystery Island, is a volcano that just happens to be in the shape of a Techo head (hence the name). The volcano, like Ryshu at the nearby Training School, seems to like Codestones. If you give it ten ordinary ones, it will spit out a magma-tized Red Codestone! I'd say that the only downside to Techo Mountain is the agonizing heat, because it is a volcano, you know. But, as my great aunt would always say, "If you can't stand the heat, get off of the volcano!" Speaking of heat, Coltzan's Shrine is located in the scenic Lost Desert (oh boy, sand!). The Shrine is a tall monolith covered in strange pictures. It was King Coltzan III's wish that his crown be used to re-open the lost shrine after he died. Some say the King's spirit still rests at the Shrine, and if you consult him he may grant you stats, items, levels, or even money! Even with Coltzan's spirit aside, the Shrine is a beautiful place. The strange hieroglyphics have yet to be deciphered, and it is unknown who built the Shrine. It's an excellent wonder and a popular tourist destination. Downsides? It's a bit of a trek to the Shrine, through the blazing hot sand dunes of the Lost Desert. Also, it may be a bit crowded. Yes, even a mere hole in the ground can be a wonder in Neopia! It is located near an old, weathered tree in Meridell off of the main path. This fascinating hole in the ground is very deep; exactly how deep is unknown. It has never been excavated or enlarged for Neopet use, for fear of disturbing what may be down there. What made this a wonder is just the mystery of it all! What could be down there? Do Symols live in it? It's been around for years, and we still don't know, probably due to the fact that it's too small for us to go down into. 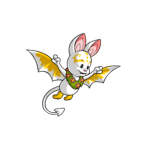 Luckily, some Neopets have been able to get their petpets to explore it, and sometimes they've even come back up with a shiny new avatar to use! The downsides: The Mysterious Symol Hole is intriguing to most people and pets, but to some it is only a hole in the ground. Also, it being much too small for Neopets, you must own a petpet to explore the hole for you. If your petpet is still up for adventure, why don't you head up the road a bit to the gigantic Turmaculus? Turmaculus, or "Turmy", is a huge Turmac with a bit of an appetite. He has been nicknamed "the king of all petpets" by the locals, and you can certainly see why! Turmaculus is almost always sleeping, but some petpets have been able to wake him up. He has given lucky Neopians healing spells, items and more since he lay down in Meridell way back when. Unfortunately, massive Turmacs still have to eat, and in some cases, he has eaten unsuspecting owners' petpets! To make up for it, you may receive a spiffy avatar, but that's certainly not any consolation, is it? So, to be on the safe side, you may want to stick to taking pictures of the beast rather than poking him with sticks. Obviously, the downsides to Turmy are that you need a petpet, and he may eat the poor thing! Turmy is very dangerous, and Lawyerbot agrees that I am not responsible for any petpet loss while visiting. Meridell seems to be chock full of fantastic wonders, because a few miles past Turmy was "Old Bessie", a.k.a. the biggest Marrow ever grown. The Marrow weighed 100 tons (how in the world they weighed the thing is unknown to me.) Sadly, being a Marrow, she either rotted or was eaten, probably both, so she's not around anymore. But Bessie still holds the title of a wonder of Neopia, and the Wocky that grew her would be happy to show you some pictures. Nowadays, in honour of Bessie, there is a daily "Guess the Weight" competition of the biggest Marrow grown that day. Downsides? The actual "Bessie" isn't around anymore, so all there is to offer are photos and the Wocky's memories. Located in Krawk Island is a slippery, slimy cave filled with fungus and moss. If you happen to own a Krawk petpet, the fungus in the cave will make it grow (if you have less than four Neopets.) Don't try to eat it yourself, though! It's no gourmet food! The incredible Krawk growth factor alone makes the Fungus Cave a wonder of Neopia, and it's worth checking out. The downside is that the Fungus Cave doesn't give much gain for most Neopians, unless you have a Krawk petpet. Also, it's not the best destination for claustrophobics. Like Turmy, the Snowager is a living, breathing wonder! The gigantic ice snake lives in the Terror Mountain ice caves. He hoards a pile of treasure, which he guards day in and day out, but he takes hour-long naps every day. If you're daring enough, you can try to sneak in and steal some of his treasure, but watch out! If he wakes up, he'll greet you with an icy blast! The Snowager is truly monstrous and completely made of ice, which is what makes him a wonder. The downside? He is awake most of the day, and even when he's sleeping, he can awaken and deal some major damage. This monstrous tree, so huge he can be spotted from space, is located in the Haunted Woods. He is allegedly the only tree who has developed intelligence. We asked about the Money Tree, and he started ranting about "that disgustingly friendly impersonator of"... maybe we shouldn't repeat the rest. The BRAIN Tree craves information about Neopia's famous, information which his neighbor the Esophagor happens to posses! Sadly for him, he is still a tree, so he is firmly rooted to the ground, but he will pay nicely if you fetch the knowledge he craves. Feel free to gaze at his large, pulsating brain! Downsides: He is not really the nicest (or the handsomest) creature of Neopia, and if you wish to help him, the Esophagor is notoriously hungry for expensive foods. This wonder is located in the newly-discovered Moltara. Deep in the caverns is the Magma Pool, which is literally what its name suggests - a pool of magma. This wonder is well guarded, but you are free to take pictures if you like. Rumors have it that if you were to take a dip in the Magma Pool, you would come out painted a rocky, magma color! That would make the magma cool enough to touch, not to mention dive into, which is what makes it a wonder of Neopia. Just ask the Magma Yurble guarding the place! Sadly, you can only become a Magma color if you are well-versed in the ways of Moltara, according to the Yurble, which is one downside. Time to hit the books! According to folklore, a huge dinosaur laid a giant egg. That egg split open somehow, and it started cooking in the hot Tyrannian sun. Ever since, a giant omelette has been available for snacking on in the Tyrannian Plateau. It's unknown and even unfathomable how big the dinosaur must have been to lay this egg! Sabre-X, the Lupe, has taken on the duty of making sure no one is hogging the omelette so everyone can get some, so you can only get one plateful per day. Some Neopians decorate it with peppers, sausages, and cheese to make it taste better. And even when the omelette has been all eaten up, and everyone is sick of eggs, another one appears nearby. Nowadays it is a popular destination for those in need of food, and it's always been available. Downsides: You may grab a rotten slice, which is inedible, and Sabre-X is very protective about the omelette. Better not upset him! Put on your scuba suits, because we're diving into Maraqua and heading to the ruins. Nestled deep within is a small cavern, where you may take off your helmets, because it's filled with breathable air, which makes it worthy of being deemed a wonder. A Maraquan Jetsam soon seized the opportunity and created an Underwater Fishing cave, and nowadays you can whip out your fishing poles and fish underwater. Where else in Neopia could you do that? Best of all, you get to eat whatever you catch. Downsides? You do have the issue of getting there, where you do indeed need to wear a helmet (unless you're an underwater neopet; you lucky Peophin you!). Located in Altador, the Colosseum is an gorgeous ancient arena. Guarded by two stone Lupes, it was once used for contests and tournaments. Of course, the most popular was the Altador Cup, where teams competed just like they do now. For a while (1,000 years! ), it was uninhabited and unused, but now it has become the host of the annual Yooyuball tourney! It has lovely arches and is a beautiful building, but when it's filled with 10,000 screaming fans, it's hard to notice! Downers: Around Altador Cup time, it's very crowded, and obviously you have to buy a ticket to watch the tourney. For this fantastic Neopet-made structure, we must go deep into the jungles of Mystery Island. The Lost City of Geraptiku was discovered by Jake the Kougra, a fantastic explorer. As usual around Mystery Isle, rumors have spread about what lurks inside. Ghosts, creatures, and booby traps are all over, but they say that there are Neopoints by the thousands and prizes beyond your wildest dreams inside! Aside from that, there are lovely carvings and beautiful ancient architecture, covered in vines and moss, of course! It's difficult to imagine how it was built without modern construction technology, but sadly no one knows hardly anything about it. The most prominent downside that comes to mind is one word: D-A-N-G-E-R-O-U-S! The invisibility of the Hidden Tower is amazing. The sheer magical power that it uses to keep itself hidden is staggering (a whopping 30,000 Magic Watts a day! ), and only Fyora the Faerie Queen can produce that much energy. She stays up there day in and day out, selling rare artifacts, usually for millions! Most of it is for the Battledome, but there are paint brushes and toys as well! When asked about them, Fyora said, "These magical artifacts are centuries old!" Of course, the Hidden Tower is in -CLASSIFIED LOCATION- in Faerie City! The downsides: Not only is it hard to find, but you have to fork over a fortune to get anything! The cheapest item there is over 100,000 NP, the most expensive item being a whopping sixteen million!!! The final wonder of Neopia isn't on Neopia at all, but rather on its moon, Kreludor. Long ago, a tiny meteor crashed into Kreludor, leaving a long indent in the ground. The meteor is prone to disappearing when you touch it, but it always comes back somehow. Sometimes if you poke it with a stick (which, by the way, you should bring from home), it will emit an item! What a strange meteor! The downsides to the meteor: It's a bit out of the way, and it can be expensive getting there. Neopia is a fantastic place, filled with mysterious, fantastic, and, well, wonderous things! This is your tour guide, Steve, and you've just been given a tour of the 16 Wonders of Neopia. Now, who wants to go to the gift shop?